Keeping your outdoor areas well lit will deter burglars from approaching your property. Nighttime crimes are most often committed in areas that are dark to avoid detection. Home security lights include motion sensor lights and other outdoor security lighting. Lighting will reduce the risk of vandalism to your property and vehicles when you place it strategically around your home and garage areas. Vandals can cause property damage to your home and car but can be successfully deterred by using outdoor security lighting. Home security lights let you see who is at your door before you answer it. When the lights go on, you can easily see people as they approach your home. Use security lighting, along with other types of home security measures such as an alarm system, to get the highest level of security. Add home security lights to indoor areas that need protection as well. 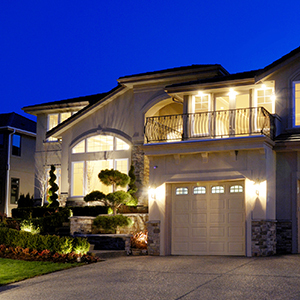 Placing home security lights in dark areas will help prevent you and your guests from accidents. They are particularly helpful for navigating stairs and walkways. Use well placed outdoor security lighting in both the front and back yard areas to prevent accidents. If you have an outdoor pool, it is essential to use lighting in this area. Home security lighting instantly makes your home look better and well kept. Your home will be the nicest one on the block when you have outdoor security lighting. There are many styles of light to choose from so pick lights that blend nicely with your out. 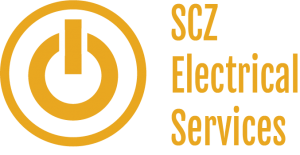 Call SCZ on 0161 696 8151 today for your free security lighting quotation in Bramhall, Cheadle, Wilmslow, Poynton, Stockport, Tameside , Saddleworth and beyond.